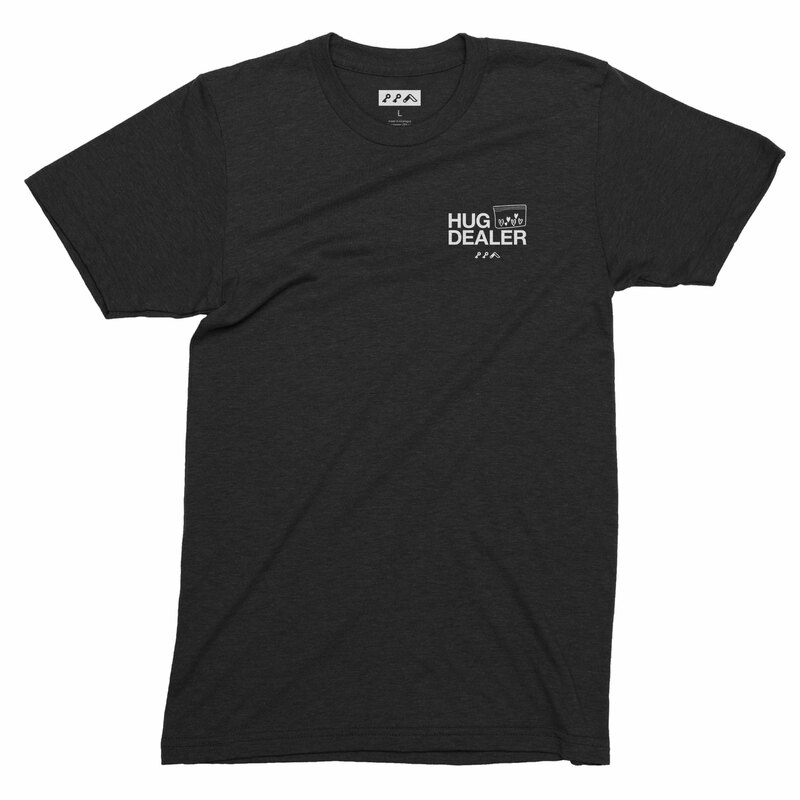 the hug dealer design is direct to garment (dtg) printed on the tri-blend tees. 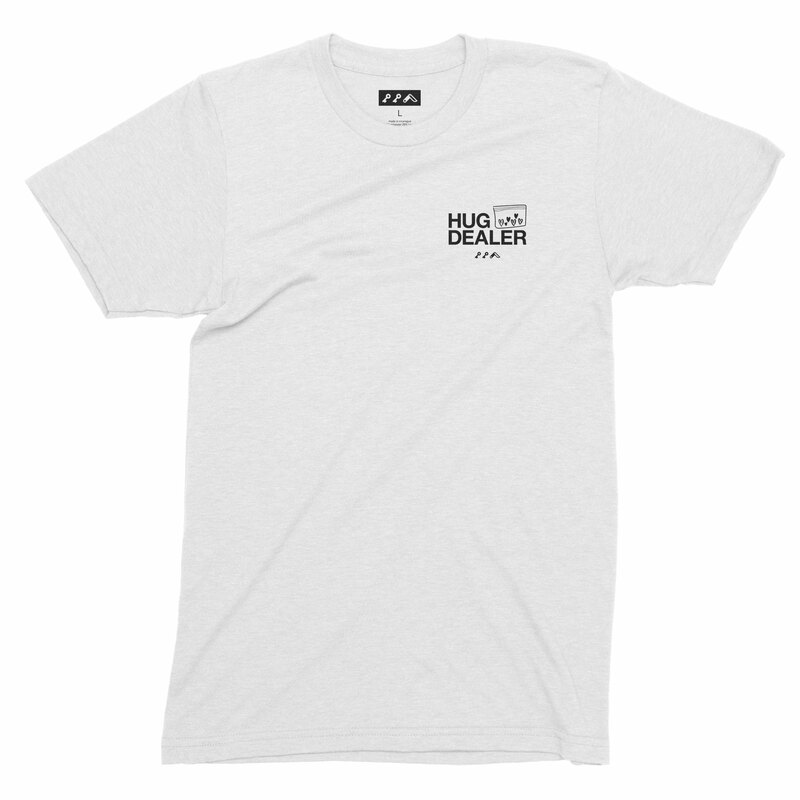 this provides a soft graphic, allowing the t-shirt to maintain an ultra comfortable feel while leaving it with a vintage graphic look. Category: short sleeve tees. 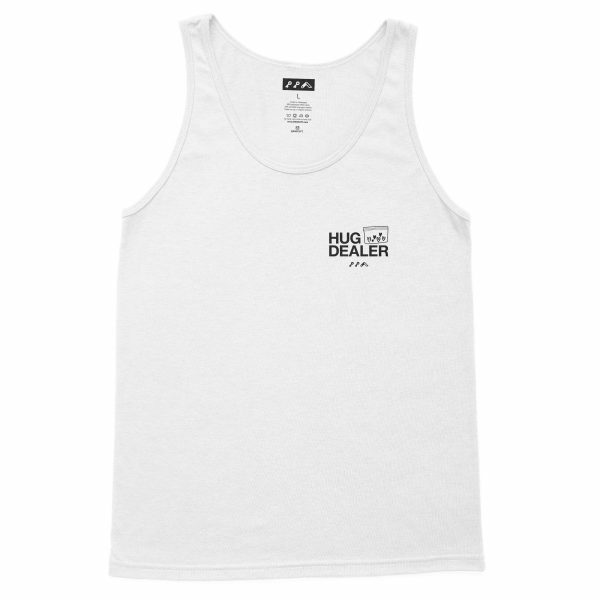 Tags: hug dealer, kikidesigns, tri-blend, words. 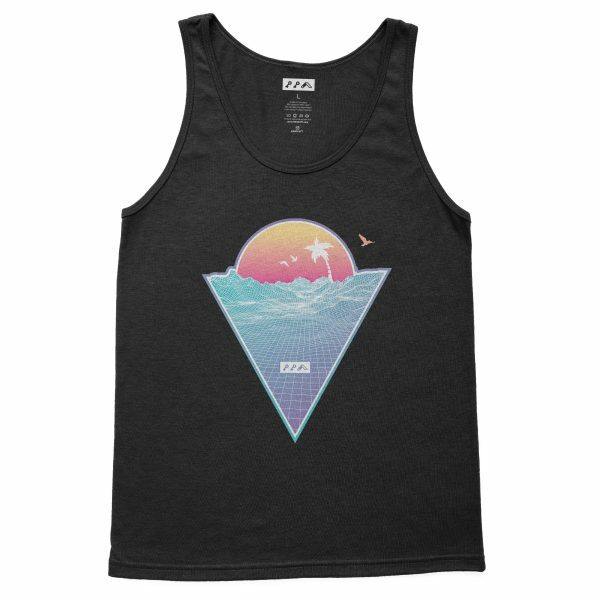 the super duper soft tri-blend gives this t-shirt an ultra comfort feel with a classic vintage look. 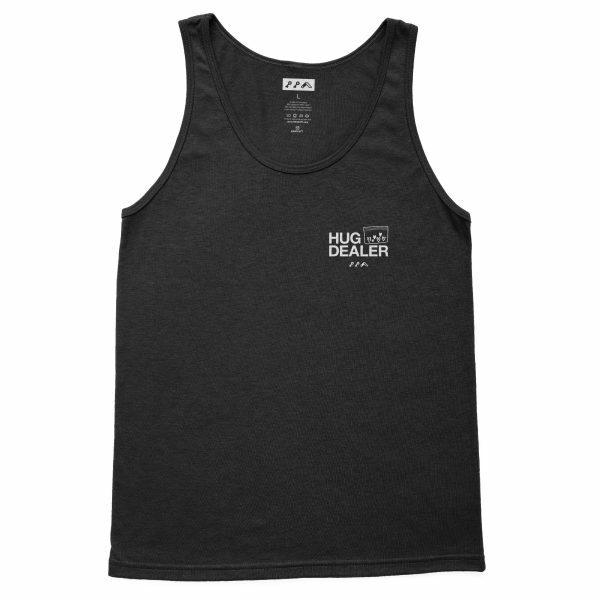 the unique fabric combination creates a fitted look, and extreme durability allows this t-shirt to withstand repeated washings. machine wash cold with like colors. hang or tumble dry on low. kiki honeycutt is a california-based artist that delivers a collection of apparel and art. all exposed with the kikicutt iconic logo. no thanks.. go away stupid popup. gimme the damn discount code!! coupon only for first time customers. coupon cannot be used in conjunction with other coupons. not valid with free shipping. limit usage one per customer.